As a parent what more satisfying than seeing our children happy?. Thinking where to go with children on a vacation or holiday. Here is a list that would not only suggest you places but also give specific places according to the interest of the children. Don’t forget to check out the Other Kids Places Column that’s where the fun is. Queens Land is a wonderful theme park covering 70 acres of land. 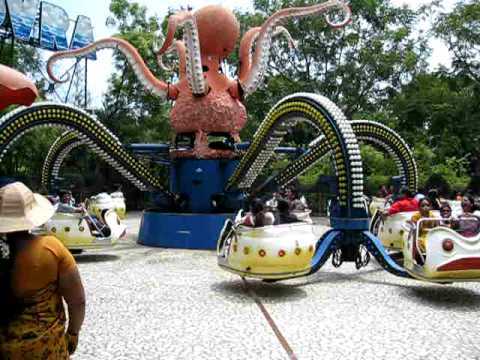 It has several thrilling rides like Free Fall Tower and Superwaves, and also some Water rides in the afternoon. The VGP Snow Kingdom brings you sub-zero temperatures and snowfall in the city itself. It is India’s Largest, Asia’s finest full-fledged indoor snow theme park. The special attraction of this place is that it has snowball fights, snow falls from the sky in soft, white, clean patches, 23-feet snow mountain, etc. Kishkinta is a very vast Theme Park covering 120 acres of land. It is called Kishkinta as it is the name of monkey kingdom found in Ramayana. It has a Monster Wave which has 5,00,000 litres of water, during the wave this water is unleashed from 56 feet water tank. It is one of the major attractions here. The VGP Universal Kingdom has been operational from the year 1997 and has won many awards over the years.It is awarded the National Award of Excellence from the year 2005, continuously till 2016. 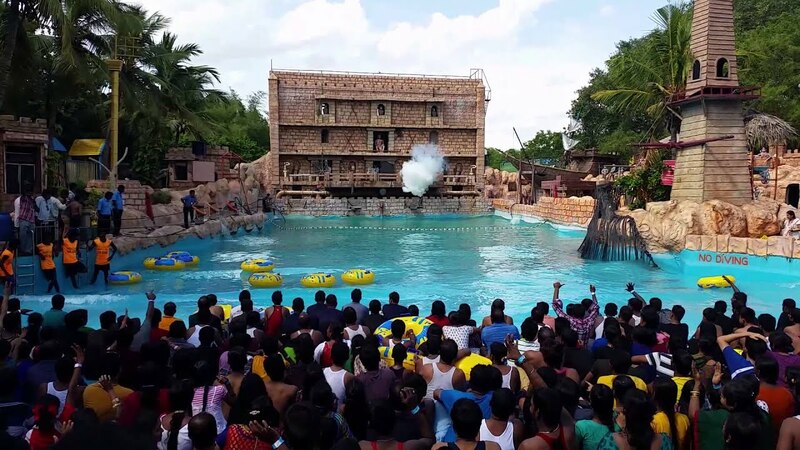 It has also won Event of the year by IAAPI Amusement EXPO. The main Attractions here are Restaurants, Snow Kingdom, Live Shows, Statue Man, Petting Zoo, Beach, Paneer Fort, etc. Did you know that hot air balloon was introduced the first time in Chennai by MGM in 1998?. It also has the honor as the first amusement park of having a Helicopter which gives pick & drop for visitors. It has many rides from Ferris Wheel, Spider Spin, Water World, Funny mountains, etc. and an entire family. The place looks and feels like Rajasthan. There are a lot of fun activities going on here like the puppet show, magic show, bird fortune teller, movie bioscope, the maze, astrologer, acrobatics on bamboo, etc. They also provide cart and animal rides(rides on a camel, bullock cart, horse). 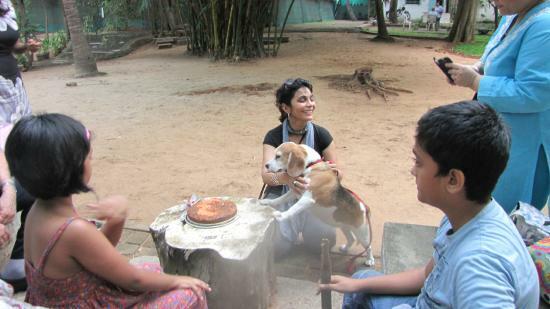 The Farm located in Semmancheri has a lot of fun activities for kids, Summer Camps, etc. It is a wonderful place for the kids to take the pets to play with them. The kids are also allowed to pet and feed the animals. It has Stables, Poultry, and Dairy. Kids are also allowed to walk through the organic vegetable gardens which are really exciting. Guests who come to this place usually show interest in the two lakes here and also the eucalyptus plantations. Wild Tribe Ranch introduces Adventure Sports and Outbound Training Area in Chennai for the first time. This place has a wide range of activities from kids to adults. It has Jallikattu, Bungee Run, PaintBall, Dodge & Jump, Trampoline Jump, 1st Gyroscope, Bungee Soccer, Surf, Sumo Wrestling, 1st Flying Fox, and much more. They also have a proper Participation Consent Form, with persons to guide and be there throughout the games, so there is nothing to worry about. The arena here is awesome with fluorescent, neon wall paints, flickering lights, gaming vests, and phasers. They have many gadgets such as PS 4 and X-Box, among which any 3 game modules can be chosen from. Usually, it is 15 minutes game priced at Rs. 200. They have this at many places. Girish Subhash launched this at 1,900 sq ft. It has a full-fledged Star Wars Theme -R2D2 and droid illustrations. They conduct matches with minimum 5 and maximum 10 people. They also have pit-stop for burgers, cakes, and sandwiches. This is the largest of Laser Tagging arena in town. It has 7 modules to choose. Players can try multiple levels on how they play. There is also an exciting stealth mode where the power is cut off. Here there is PS4 and Xbox. The happy hours here at from 4 pm on weekdays. This place has wonderful dark rooms, neon obstacles, spacious & well-planned arena. The groups have a minimum of 5 to 6 people for group matches. It is really fun here as you can have a private party, coffee, and snack kiosk. Since it is very spacious here, the players can strategize better during games. Unlike other Laser Tag arenas, this place has an Avatar theme designed by country’s best and gives the feel as if we are in the movie in the Pandora location. It is also equipped with PS4 with latest game updates. It has 42 inch TV. It also has a game of Air Hockey in waiting time. Kurukshetra gives the opportunity to see the funny side of friends and family. Kurukshetra not only offers laser tag but also offers indoor football, video game, and pool table. It also provides an opportunity to celebrate birthdays with Kurukshetra. Not only that it is really good for Corporate Outing to play with friends & colleagues and have fun. This is the best and largest Paintball facility in India. It has Woodsball, various scenario plays, and Speedball. Headshot is also known for one among the biggest ATV tracks in South East Asia. It also provides Archery and Deep Sea Swimming. 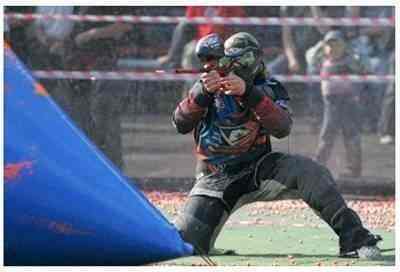 It has the privilege of training National Paintball team which is representing India in International Tournaments. This place provides ATV rides for kids. Since they are four wheelers & automatic, it makes the ride safer for kids to have fun. Here the ATV provided is the World’s best Polaris ATV, ensuring proper safety for kids. It also provides beach ride and on track rides for kids. Trainers will accompany the kids making it perfectly safe. This place offers the best adventure and fun on sandy beaches and choppy waves. It has many kinds of adventures from Jet Ski, ATV, Fishing, and Floaters. It has even a combo pack in which Jet SKI and ATV can be combined in onward and return, this helps the visitors to get an experience of both. 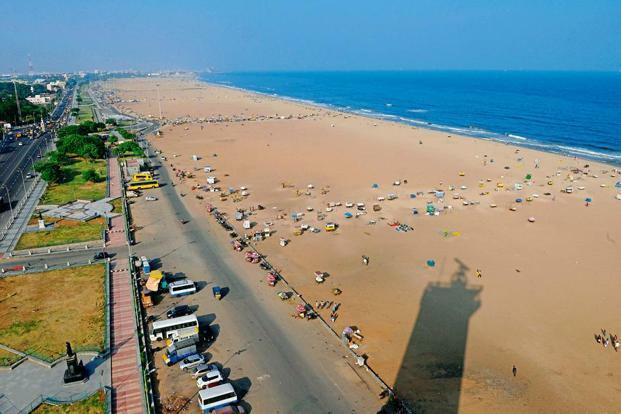 Marina Beach is the natural longest beach in the world, running for 6.5 Kilometers. Bathing and Swimming is prohibited due to the dangers of turbulent current waves. This beach helps local people to escape the summer heat. Since Beach Cricket interferes with beach walkers and traffic, City Police has banned it at different points. Specialty: Horse ride, Water Sports, Aquarium. 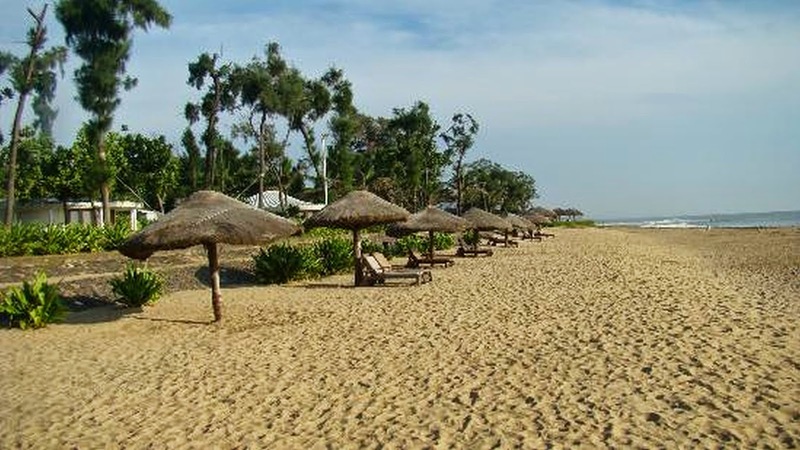 Golden Beach has smooth & silver sand situated in Marina. It is the 2nd longest beach in the world. 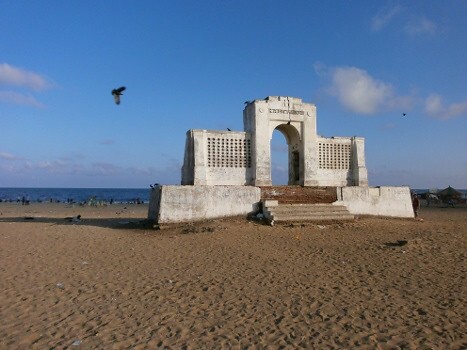 It is located in the Bay of Bengal, one among the major attraction in ECR(East Coast Road). The ECR is the Connecting seaside road from Chennai to Pondicherry & Cuddalore. Specialty: Aqua Kingdom, Statue Man, Paneer Fort, VGP Millennium Tower. Unlike Marina, the sea & surf is very gentle and calm here. Many tourists come from all over the world for the natural beauty. 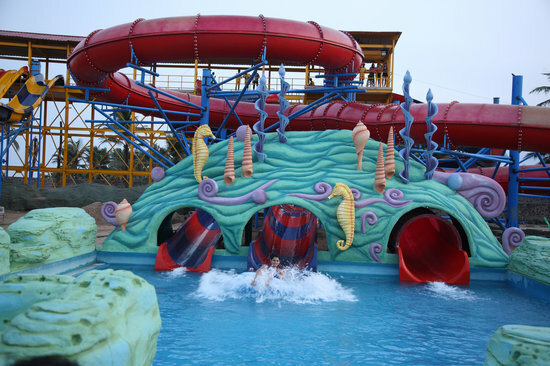 It is also excellent for fishing, water sports, swimming, games, etc. This beach has an ancient Catholic church, mosques, and forts. Specialty : Walking, Dutch Fort, Fishing, Adventure Sports. Breezy Beach, is on the outskirts of the city, making it calm at the same time easy to reach. It is much cleaner when compared to Marina beach. It is a perfect getaway for sunset view quick strolls. Specialty: Boat Rides, Sunset Point. Can you believe that Guindy Park was originally a game reserve?. This was covering an area of 5 km2 and is one of the last remnants of tropical dry forest. There are so many species of mammals here such as spotted deer, jackal, bonnet macaque, hyena, pangolin, etc. It has 24 variety of trees like sugar-apple, wood-apple, neem, Atlantia Monophylla, etc. Also nearly 1/6th of the park has been left with grassland to preserve the Habitat of Blackbucks. Overall it is a wonderful, place for your child to visit and understand the natural habitat. Tholkappia Poonga or Adyar Poonga is a project spread over 58 acres on what was actually an urban garbage dump. You would not believe that this is now a completely restored eco park rich in plant, bird and animal life. After restoration, the other species spotted in the vicinity are Indian Flying Fox, Grey Mongoose, fishes like spotted snakehead, flathead mullet, Indian shortfin eel, etc. Bird’s species have increased in number from 33 to 90, Reptile’s species have increased from 14 to 29. Amphibians species from 3 to 10.
of natural resources. There are so many special attractions here like Deer Safari Park, Shark Model Aquarium, Ostrich Enclosure, Cave Model WaterFall Entrance, Chimpanzee Enclosure, Nocturnal Animal House, Snake Model Serpentarium, Other Water Birds Habitat, Lion Safari, White Tiger Exhibit, Butterfly House, Prey-Predator Enclosure and Walk through Aviaries. This park was actually inaugurated by Karunanidhi, the Chief Minister of Tamil Nadu on May 2009. Undeveloped land near the port with some trees was actually turned into a park. This park has a grand circular fountain at center with pedestrian walkways. It is an excellent place to do Yoga and a granite plaza is actually constructed for meditation. The specialty of the park is that it has ramps that help the disabled to connect to all parts of the park. It is the tallest tower in Chennai, also known as Dr. Visveswaraya Park. Did you know that this Tower was actually built in order for people to know about the place where the Trade Fair Exhibition was conducted back in 1968?. It is a real fun place for the kids. There is roller skating for Kids(With Instructor). The Spiral way has no steps actually, just plain to walk up to the top of the tower. They also have A, B, C, D which look like ladders for kids to play with. This park was opened in November 2010 by Chief Minister Dr.M.Karunanidhi. It is actually in the center of the city, at Mount Road, although it is in heart of city, it is very quiet. The park is very peaceful and is the first botanical garden in the city. There is lot of trees, very good play area, most importantly it has the good connectivity of public transport. There is also a beautiful pond which attracts birds. One of the special attractions is that the Poonga at night has dancing lights. Nageswara Rao Park is actually 1.6 hectares park. This park was originally called Arathakuttai. It has a wonderful play area for children, it is a well known place for the public to use for walking in morning. The added benefit of this park is that it also hosts Kutcheris and civic forums. It has a spacious Badminton Court and this infrastructure is maintained by Sundaram Finance. It is a peaceful park with residents coming from various places nearby. Natesan Park covers an area of 1.6 hectares, opened by Minister of Agriculture in 1950. The specialty of this park is that it has a separate tennis court maintained by Chennai Corporation. It is well known and is used by local residents for walking. Pathways are elegantly laid providing green cover making it healthy. 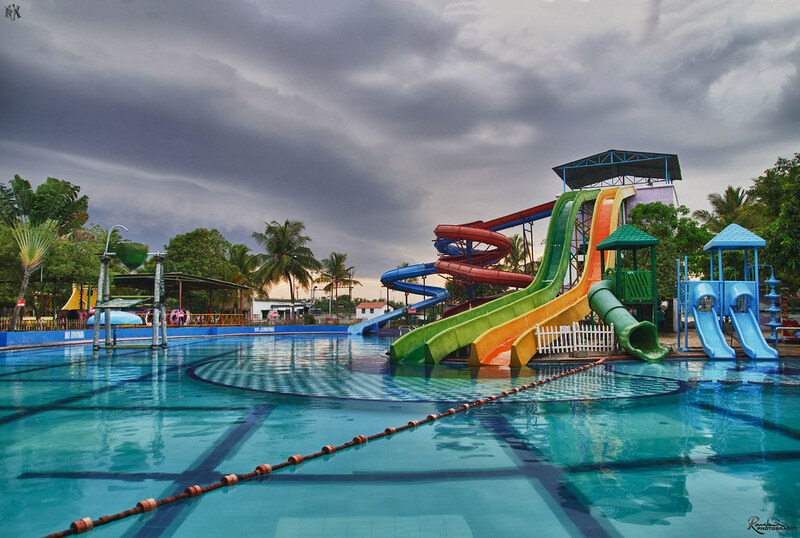 It is a great place for kids and is maintained well. It has so many variety of trees present here and also a huge varieties of plants. These places do improve the observation skills of your child, help understand the surrounding and nature. Taking children out not only makes the children happy but also strengthens the bonds between parents & children and the between siblings. Some places in the list are so peaceful that you can have a parent-child moment when the child can express his/her problems to you.